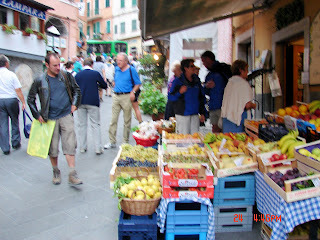 I took the train from Florence, stopping for 30 minutes in Pisa for a picture, and then on to Riomaggiore. 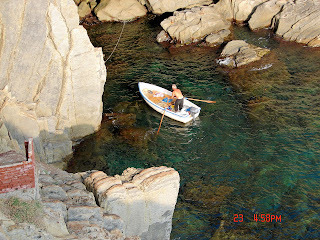 Cinque Terre, also known as the Five Lands runs from Riomaggiore to Monterroso. 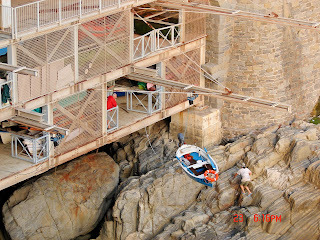 There is a walking path that overlooks the Mediterranean and goes from village to village. 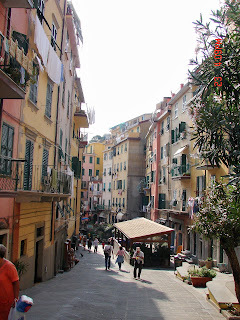 Vernazza is perhaps the most beautiful of the 5. 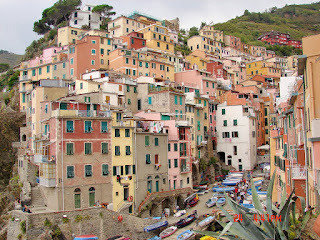 I stayed in Riomaggiore which was a simple village but beautiful with its many colored houses and businesses. 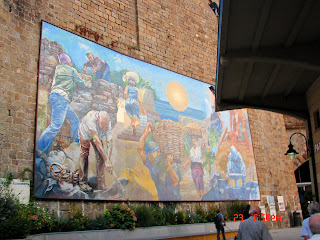 The train runs frequently between the villages all day until about midnight. This area is without a doubt the most beautiful place that I have ever been.